I am a legal weekly rental in Islamorada!!! Commercial Ice Machine, bait freezer, and fish cleaning station!! SUPER PRIVATE!!! Amazing waterfront restaurants close by!!! Boat rental and paddle board/kayak company that will deliver boat to dock for your stay. Two bikes for your pleasure. 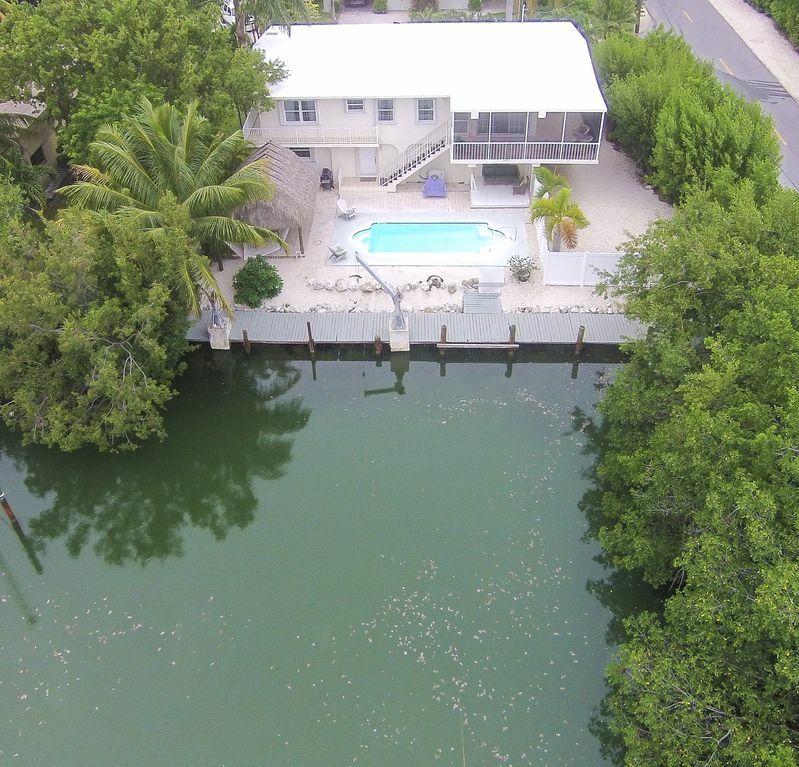 Deam home in they keys is one of the very few legal weekly rentals in Islamorada. It is a 4000 square foot home on water with heated Pool. Located in an exclusive area of all waterfront homes. This immaculate two-story home offers a luxurious and very private setting. Ryan's place has 5 large bedrooms and three baths. Equipped with four king beds, one queen bed, two queen sofa sleepers, a futon and four singles. All top quality mattresses. All down beddering and sheets 800 or higher. Both the down stairs and up stairs have tv and dvd. Three of the bedrooms have TV's. The kitchen is extremely spacious and well-equipped. The screened verandah overlooks the pool and water area filled with blooming tropical landscaping. The veranda has two seating areas and a large teak table that can extend to 10 feet and seat 10 comfortably. Just a sliding glass door from the kitchen. Windows and sliding glass doors make up most of the house providing the feeling of living at one with the tropics. The outdoor entertainment area is complete with heated pool, barbecue grill, outdoor shower, and 100 foot of dock space on deep natural, crystal clear canal which is right at channel two. And of course home has COMMERCIAL ICE MACHINE and bait freezer. Beautiful Tiki Hut to enjoy our wonderful weather. I live in the keys full time and absolutely love to share my home with families!!!! This is my home and I am the only when who represents this property!!! I am a legal weekly rental in Islamorada, the fishing capital of the World!!! With Amazing restaurants close by, Robbies world famous feeding of the tarpon is just to the North 2 1/2 miles. immediate access to ocean via channel two, for vessels over 27 feet channel two is just to the south. Perfect spot for my family! Beautiful property that was set up perfectly for fun. Kids loved the heated pool and seeing manatees in the channel. We had an amazing week! Great location, very spacious, and a fun spot for the family. We ate lots of fresh snapper and lobsters. We had 10 people stay at the property and had an absolutely amazing time! All the rooms are extremely clean. There are 2 dining tables with an option to eat either inside or outside. We brought two boats with more than plenty of room for docking. The pool and tiki hut were great.The owner, Bridget was so nice to talk to. We ran out of propane for the grill and Bridget had 2 new tanks ready in no time! One amenity that doesn't get talked about enough is the industrial ice machine. If you are bringing a large group, do not stress about buying bagged ice. That ice machine was perfect! We will definitely be returning again! We had a wonderful time. Will rent again!!! This was our second year renting the house. The entire experience was great both times. Bridget is a great person to work with and we appreciate her renting us such a wonderful place to stay! Plan on renting again next year... Thanks Bridget for making our Keys trip one to never forget. This is a Great Vacation Property! I only take payment via VRBO website payments. I will NEVER ask for a wire transfer!!! !